Police allegedly found 300 rolls of illicit drugs believed to be marijuana inside a plastic bag in the shop. 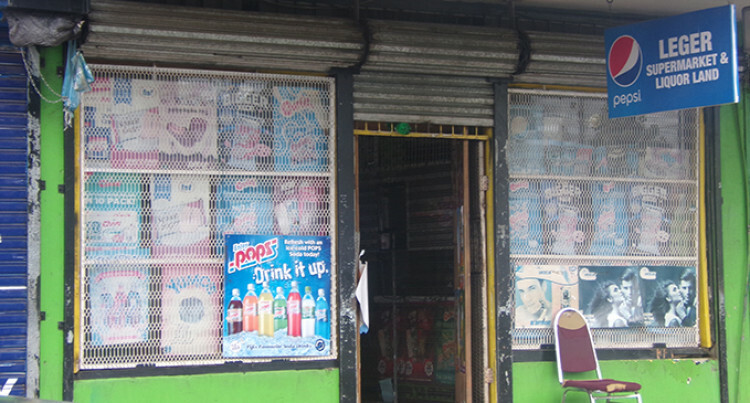 A Lautoka shop owner says the recent arrest of another shop owner, for his alleged involvement in the drug trade, will send a clear message. The operator, who wished to remain anonymous, for fear of retribution, says no one is above the law. His comments come after Police conducted a drug raid last Saturday night on Vitigo Parade which resulted in the arrest of the well-known shop owner. Police spokesperson Ana Naisoro confirmed the dried leaves believed to be marijuana had been sent for analysis as investigation continues. The man, Ms Naisoro said, is believed to be his 50s and was in Police custody. Two business operators along Vitogo Parade who were interviewed by Fiji Sun yesterday shed light on issue they have been facing. One business operator said: “Some of my customers have been victims of the danger of the street. “Not only do people sell and do drug dealing on the streets, but they are involved in robbery- grabbing and running. The shop owner wished for more Police presence also when it was not in the festive season.